Azerbaijan and Armenia are countries most people know almost nothing about despite their unique history, attractive scenery, and modern development. However, the one thing that people do know about these countries is not one of the aforementioned attributes; instead, it is the Nagorno-Karabakh conflict. The conflict itself is due to Armenian claims that the Nagorno-Karabakh region of Azerbaijan belongs to them. The justification for this claim is that Stalin took the Karabakh region from Armenia, and gave it to Azerbaijan sometime in the 1920s. This claim, however, is factually inaccurate. In 1920 the Soviet government took over both Armenia and Azerbaijan, and right from the beginning, Azerbaijan began losing large parts of its territory to Armenia. So vast, that if the modern Republic of Azerbaijan were to be compared to the Democratic Republic of Azerbaijan in 1918, around 24% of the territory was lost to Armenia after the dissolution of the Soviet Union. This is also the reason why the Nakchivan area of Azerbaijan is an enclave. The Nagorno-Karabakh Autonomous Oblast (NKAO) was created inside of Azerbaijan SSR in July of 1923 and instantly populated with Armenians. An oblast is simply a province that subordinates to the union republic which in this case was Azerbaijan SSR. The reasoning behind the Soviet government’s idea of creating oblasts like NKAO in various Soviet republic’s was to distract them from seeking their independence since an ethnic tension was always present. In February of 1988, an expulsion of the Azerbaijani population in the Megri and Kafan districts of Armenia resulted in the displacement of thousands. This fact, however, wasn’t reported in the media and concealed by Soviet authorities. These people that lost all of their belongings and some relatives in the ethnic cleansing took their hatred to the city of Sumgait, not far from the Azerbaijani capital of Baku. With the help of several Armenian nationals like Eduard Grigorian, as well as the involvement of the KGB, the tragic events of the Sumgait Pogrom took place in February of 1988, resulting in the deaths of 26 Armenians, and 6 Azerbaijanis. Eduard Grigorian killed 6 Armenians himself and was sentenced to 12 years in prison. The Azerbaijani people and government are often blamed for these tragic events by Armenian media, this, however, isn’t entirely fair considering the fact that the government or people of a country can’t be held accountable for the sins of several independent citizens, especially since Azerbaijan wasn’t independent at the time as it was part of the Soviet Union. Fighting took place in the Karabakh region from 1988-1992, between Azerbaijani forces and Armenian forces which had immense help from the Russian military, which had a military base in Armenia, that has remained in place till today. On 26 February 1992, the Khojaly Massacre or as referred to by the Azerbaijani people, the Khojaly Genocide took place in the village of Khojaly, Azerbaijan. 161-613 innocent Azerbaijani civilians along with men, women, elderly and children were cruelly murdered by the Armenian military, with the help of the Russian motorized infantry unit of the 366th CIS regiment. The official Azerbaijani authorities death toll was 613 people, including 106 women and 63 children. The Human Rights Watch released an estimated death toll as well, of 161+ or 200+ deaths. There is no way to justify this crime against humanity. However, Serj Sargsyan, the president of Armenia that served from 2008-2018 in office, and is accused of being a perpetrator of the Khojaly Massacre said to British journalist Thomas de Waal the following. The Nagorno-Karabakh conflict was a rehearsal for Russia, to witness the reaction of the west, and prepare for further escalations in countries surrounding Russia. The next step for Russia after the Nagorno-Karabakh conflict was the annexation of Abkhazia and Ossetia from Georgia followed by the annexation of Crimea from Ukraine. Clearly, it was always within the interests of the Russian regime to cause disturbances in surrounding former Soviet republics, whether it was during Soviet times or the present. The reasoning behind this scheme is straight forward. When a former Soviet republic has issues such as a war like in Azerbaijan, they are forced to ask Russia for help as a mediator. But that comes at a certain cost. In Azerbaijan, the Russian government fantasized about two main things. Firstly an idea of a military base in Azerbaijan. Secondly, the oil in Azerbaijan. Since Azerbaijan has a vast supply of oil, Russia wanted cheap access to it, which some scholars may argue is the reason for the invasion of Azerbaijan. In the end, Russia wasn’t able to achieve what they wanted. Azerbaijan didn’t accept these demands which are why Armenian forces along with the help of the Russian military have currently occupied Nagorno-Karabakh and 7 adjacent territories. Various forms of propaganda were and still are used to this day, especially to spark hatred within younger generations of Armenians towards their geographic neighbors in Azerbaijan. 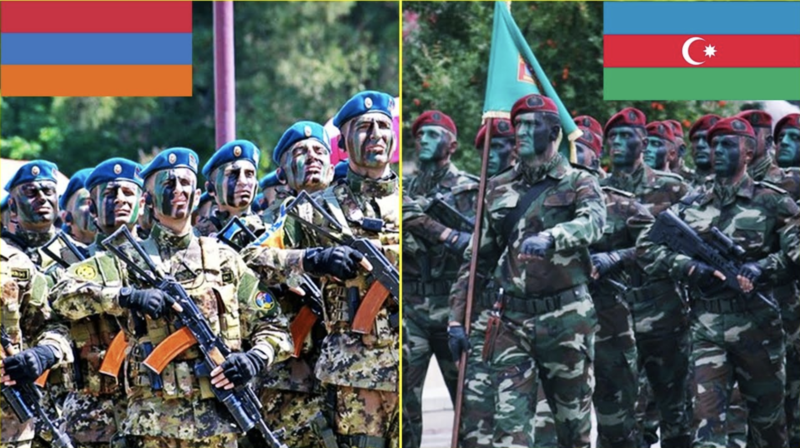 Azerbaijan didn’t want this war, and Armenia has also come to regret their decision to side with Russia following many negative consequences that have been placed on their shoulders after the occupation of over 20% of Azerbaijan’s territory. It is indisputable that until the occupied territories of Azerbaijan are returned, Armenia will never be able to prosper as a nation.